It's time to get German up in this farm. Step aside, non-simulator games. It's time for some news about games that aren't afraid to show you what it's like in the real world. These games see the mundane nature of reality and say, "That's just how it is. Deal with it." They don't try to butter you up with "high scores" and "experience points". No way. They deal with real (virtual) issues and make you handle real (virtual) consequences. 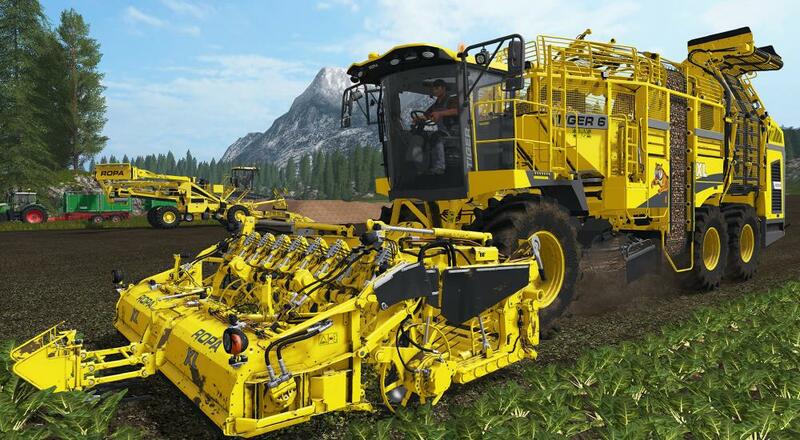 Who doesn't love watching multi-ton machines just slay fields of vegetables? Fortunately, fans don't have to wait long to get their dirt-laden mitts on those yellow beasts of agriculture. The pack contains the Tiger 6 XL, RR-XL 9x45, Maus-5, NawaRo Maus, and Keiler-2 machines, along with a trailer. That's not quite enough to outfit an entire 16 person party in the game's online co-op, but I'd like to think farm enthusiasts would be pretty good at sharing. Page created in 0.4123 seconds.